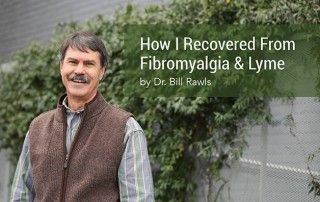 As a chronic illness expert and longtime Lyme sufferer, Dr. Bill Rawls fields all sorts of questions and theories from fellow Lyme sufferers about what helps successfully fight the disease. One theme that comes up time and again: Detoxing. I need to do a Lyme detox protocol before I start treatment for my recovery. A 10-day cleanse is all it takes. 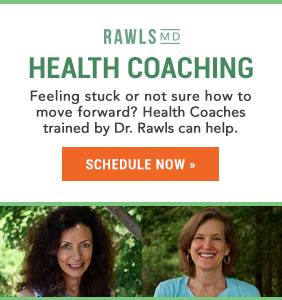 To get an overview of Dr. Rawls’ insights on all three myths, keep reading for a short excerpt from his webinar transcript. Or, watch a replay video below of the full webinar for even more information on why detoxing is crucial for both Lyme recovery and optimal health in general, plus what works, what doesn’t, and why. 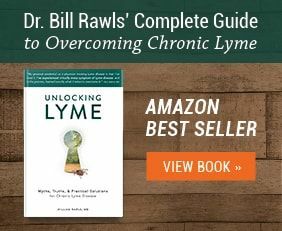 The Demystifying Lyme Detox webinar originally aired on January 24th, 2018. Since then, we’ve posted it to YouTube; you can watch it here. 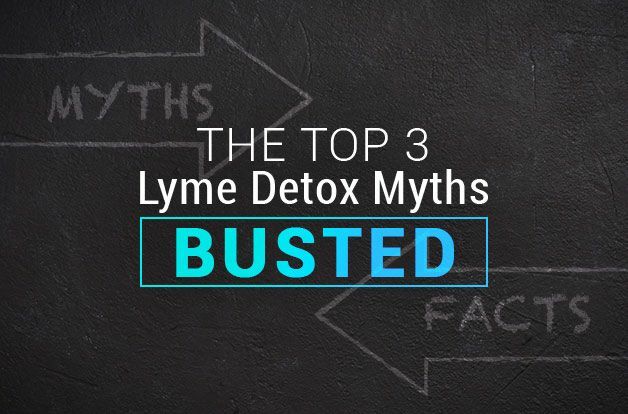 Myth #1: I need to do a Lyme detox protocol before I start treatment for my recovery. First off, there are a lot of different terms used to describe toxins, and I think it’s important to really understand what those terms mean when discussing detox. Poison: A poison is something that causes death. And when you look at any kind of substance that’s foreign to the body, at a certain level, it turns into a poison. Toxin: We all tend to use this word interchangeably to refer to any kind of toxic substance, but the true definition is things of biologic origin. So that can be external things — jellyfish stings, poison ivy — and also internal ones. 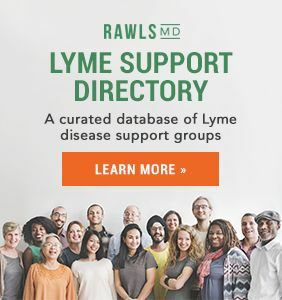 The internal sources are more pertinent when talking about chronic Lyme disease. This includes mycotoxins from mold spores that get in the body and accumulate toxins, and the toxins produced by an overload of candida. There are also endotoxins, toxins we hear about being tied to Herxheimer reactions. An endotoxin is not a toxin produced by bacteria. It is created when bacteria are killed, and the pieces of the bacteria become inflammatory. Toxicant: These are man-made: petroleum residues from driving cars, creating plastics, mining operations, chemical plants, and pesticides. Xenobiotic: A xenobiotic can be a toxin or a toxicant, and it’s typically something that has a certain biological effect — it acts like a neurotransmitter or hormone. These are in bottles that leech plastic residue into our water and have an estrogenic effect. A lot of people, including myself, refer to all of these things as toxins. All told, there are many thousands of chemicals in our environment that weren’t here 100 years ago, and all of these toxins add up. How much of a role they play in disease is hard to quantitate, because we’re all saturated with them, but they are a factor we have to deal with to get well. So how do these toxins cause harm? They bind to our DNA and proteins and disrupt our cell membranes. They act like really potent free radicals. They mimic hormones and neurotransmitters, and they’re a big source of inflammation in the body. 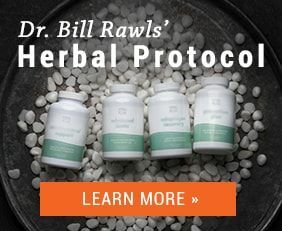 All of this compromises your immune system, inhibits healing, and disrupts homeostasis, which allows the microbes that we have in our body to flourish. Lyme disease is more about disruption of immune system functions than infection with microbes. The microbes are definitely part of the problem, but often the microbes are present long before illness takes hold. 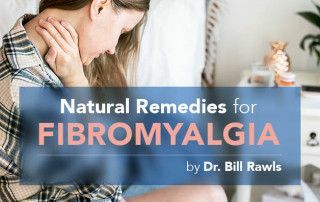 Chronic illness does not become established until immune functions have become compromised. Because toxic substances are major immune system disruptors, detoxification must be a fundamental part of the immune system recovery process. It isn’t something you just do, and then move on to something else. Detox is integral to the entire recovery process, and enhances the ability of the body to restore itself. Myth #2: Detoxification is really complicated. To a certain extent, the body’s detoxification systems are unbelievably sophisticated and complex. But enhancing the process of detoxification is a simple matter of limiting the toxins coming in, and helping the toxins go out. So how do toxins enter the body? You can eat them. You can breathe them in. You can get them through the skin. And then there are the endotoxins from microbes that are generated internally, which everybody has to a low degree. 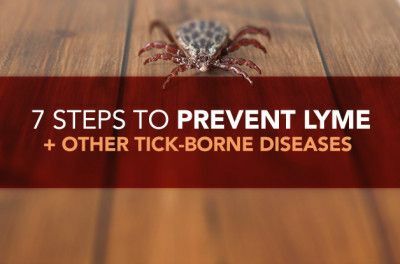 People with Lyme disease will have a lot more, especially if they’re undergoing treatment. These are a top-of-my-list concern about detoxification. 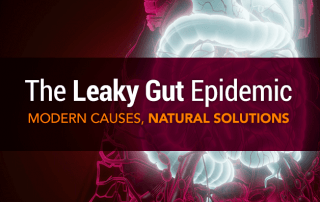 Processed foods are loaded with carbohydrates, preservatives, and other foreign substances that disrupt gut function, which disrupts immune systems even further and disturbs the balance of all the hormones in the body. All of that compromises detoxification, and that’s a real problem. There are a lot of contaminants in municipal water supplies, and there are a lot of potential contaminants coming through wells. With this in mind, it is a smart choice to filter your water. Minimizing alcohol, not smoking, and respecting the toxicity of pharmaceutical drugs are very important to detoxifying the body. Mold is also a big issue. It can definitely get in the way of recovery. Have you checked your crawl space? Have you looked for mold in the house? Because it can be a factor in recovery. If you are mold-sensitive, and you have mold in your house, you will not get well. Finding clean air to breathe is getting harder. The cleanest air can be found in pine forests, on the open water, and near waterfalls. Urban industrial and rural agricultural climates can have a negative effect on the air you breathe. So try to spend more time in natural areas. As for indoor air, you can get an air filtration system to extract the toxins inherent inside a house. Bring nature inside your home with plants and falling water. You can also get a negative ion generator — make sure to invest in a newer one, as the older versions produce ozone. Diffusing essential oils inside your house may be another way you can improve your indoor air to make it mirror nature. The last area to look at is your skin. There are so many toxins that come in skin products. Even sunscreens have been implicated as possible carcinogens. 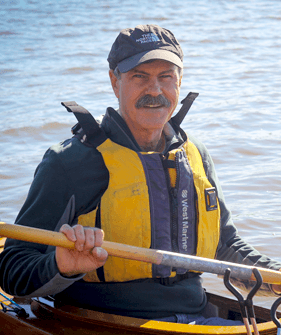 A group that’s doing a lot of good work in this area is the Environmental Working Group. They’ve got great information on which skin products are the safest to use. Myth #3: A 10-day cleanse is all it takes. Detoxification is not an acute process. It’s an ongoing process that not only lasts through recovery, but lasts through a lifetime. It is how you go about life. Is there something wrong with a 10-day detox? Certainly not. A 10-day detox is a great way to get started; it’s a great way to initiate the process. But it’s not an end-all. It’s not that you purge everything from your body in 10 days, and then you move on from there. So, how do we remove toxins naturally? Which parts of the body do that? The immune system is important for cleaning up endotoxins from microbes, taking care of the microbes, cleaning up debris, taking out worn-out cells, taking out cells that have been infected with microbes. The liver takes care of most of those artificial toxins that reach your body, and it pushes them into the intestines or kidneys. We also breathe some toxins out, and actually sweat is a great way to remove certain kinds of toxins. The most important thing for your health and detoxification is vegetables. Vegetables provide so many things — vitamins, minerals, and other plant chemicals that keep your body running properly. Vegetables support liver function and provide fiber to bind toxic substances for removal from the body. Ancient food was loaded with chemicals from plants that protected our ancestors from microbial invaders, parasites, and disease. Modern food lacks these beneficial chemicals, but herbs are the easiest way to reintroduce them into your system. They balance the gut microbiome, instead of killing off normal flora. They balance the immune system, and they help flush the whole lymphatic system. I think the guideline with eating organic food is, whenever it’s practical. Organic is most important for thin-skinned fruits and vegetables, like berries, apples, and tomatoes, and less important if skins are thick or can be peeled, like avocados, melons, citrus — if you’re not eating the peel, not as much of the toxin is getting in. Fresh is more important than organic: I’d rather see people eat non-organic vegetables than not eat vegetables at all. Remember, the fiber in vegetables helps pull toxins through your digestive tract. Humans have always eaten spoiled food. It added to their microbe diversity, and we’re finding that our health is very much related to the diversity of our microbiome. Today, with a grain- and meat-based diet and our sterile environment, humans have the lowest diversity of their microbiome than ever in the history of humans. 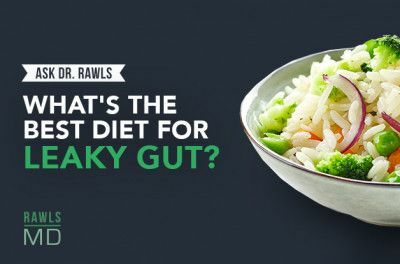 Eating fermented foods of every variety, and if that’s not practical, taking a probiotic, is really important. A lot of people add fasting on as part of a detox, and I think it’s a good idea. What are we doing with fasting? Basically, we’re giving the digestive tract a rest. Your digestive tract, especially if you’re eating all day and into the night, is working pretty hard, and it’s pushing your liver. Actually, if you’re really working your digestive tract hard by eating bad foods, it just needs a rest. There are a lot of different ways to do a fast. You can do a three- to six-day fast with only juice or water with lemon. Some people do one fasting day a week. Personally, I like to spread it out. I try to fast 12 hours out of every 24. So that gives my intestinal tract a rest, lets it do its job, and it’s practical for me. It can enhance detoxification. I don’t think you need to do an excessive amount of fasting because, again, you’re not necessarily removing the toxins if you’re not eating fiber to pull it through your digestive tract—they’re just going to be reabsorbed. If you’re not sleeping, you’re not detoxing. Sleep is when your body repairs itself; it’s when your body detoxifies. Stress is a big factor. Stress raises our adrenaline levels and, indirectly and inadvertently, affects our ability to detox. A great way to get your toxins out is exercising, moving your body. It doesn’t have to be going to a gym — it’s getting outside and doing things. Movement moves blood, and blood moves toxins out of tissues. If you’re at a point that you really can’t exercise that much, infrared sauna is an excellent alternative. Heating your body up makes your blood move. Infrared sauna is a little easier than regular sauna. It uses heat coils that actually radiate heat to your body, and you can do it very gently and very carefully. It’s a great way to move blood in your system. You’ve got to evacuate the toxins. If you’re getting backed up, you just keep reabsorbing those toxins. You have to have a healthy intestinal tract. 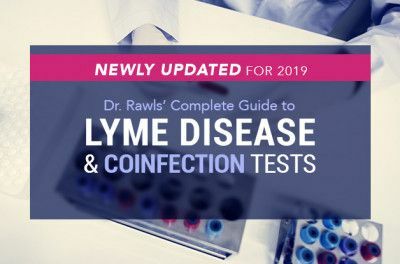 It’s important to remember that detox is an integral part of the entire Lyme recovery process, and how quickly you respond to that is a high variable. It depends on how long you’ve been unwell, and how sick you are. 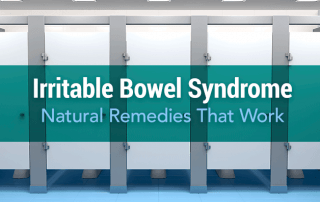 But generally what I find is that people who are embracing an herbal protocol and taking an appropriate approach to detoxification notice a difference within weeks and certainly within months. Detoxification is a long-term, steady process. Think of it as a gradual detoxification instead of an acute detoxification, and I think you’re going to do more good.